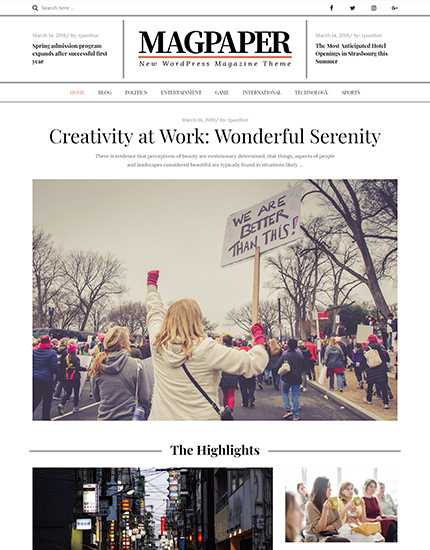 Magpaper is one of the fastest, cleanest, easy to use and aesthetic responsive WordPress magzine theme. To tweak your design further, the built-in Theme Customizer optons includes a plethora of options that enable you to fine-tune your site to your exact requirements. 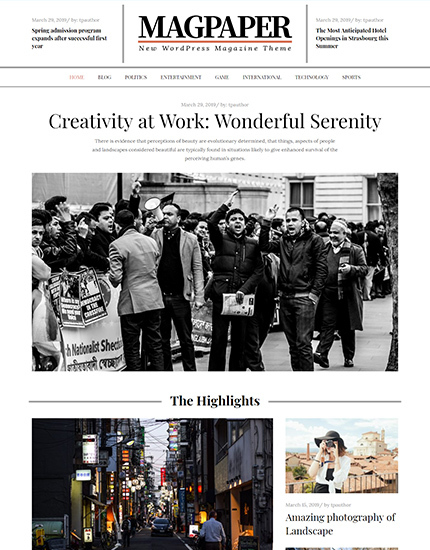 This theme is primarily designed for magazine formats. Newspaper can be ideal for news-related websites with high traffic. It combines gorgeous elements with intuitive settings and will enable you to build almost any kind of online publication.